Now Available in Paperback! With this lectionary commentary series, Westminster John Knox offers the most extensive resource for preaching on the market today. Now complete, the twelve volumes of the series cover all the Sundays in the three-year lectionary cycle, along with movable occasions, such as Christmas Day, Epiphany, Holy Week, and All Saints' Day. For each lectionary text, preachers will find four brief essays—one each on the theological, pastoral, exegetical, and homiletical challenges of the text. This gives preachers sixteen different approaches to the proclamation of the Word on any given occasion. The editors and contributors to this series are world-class scholars, pastors, and writers representing a variety of denominations and traditions. 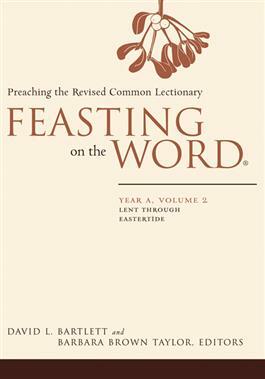 And while the twelve volumes of the series follow the pattern of the Revised Common Lectionary, each volume contains an index of biblical passages so that nonlectionary preachers, as well as teachers and students, may make use of its contents.